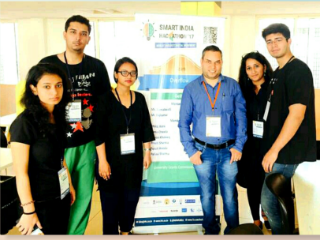 Two teams from JIMS were shortlisted by AICTE to participate in grand finale of SMART INDIA HACKATHON 2017 (Worlds Largest Hackathon organized by AICTE and MHRD) scheduled on 1st and 2nd April 2017. 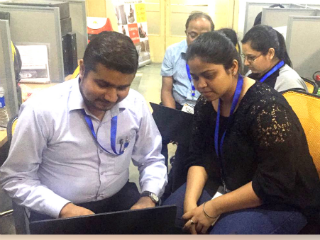 In this 36 hours marathon coding event, more than 1200 teams of 6 members each, from all over India participated in the grand finale. 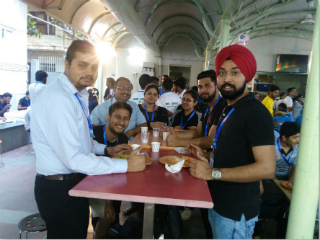 Team "Overflow" with team members Dheera Bora, Sonia Chawla, Preeti Sharma, Pallavi Sharma, Ayush Hooda and Adnan Khaleeq (all from MCA sem 4) participated in the grand finale at nodal centre Manipal University (Karnataka). Team 'Overflow' prepared a solution to problem code #UGC14 i.e. problem posed by UGC to simplify the cost and time consuming method of evaluation of proposals. 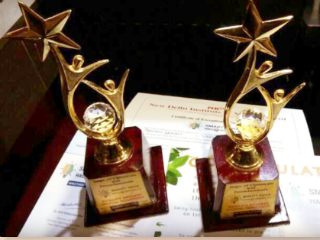 Students prepared the solution under guidance of their mentors Ms C Komalavalli and Mr Rajkamal. Mr Rajkamal also accompanied this team to the nodal center and helped them to develop the final solution. 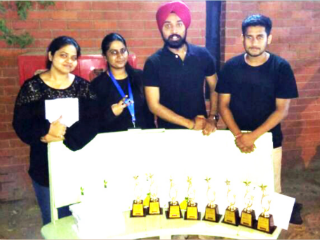 Team "Technocraates" with team members Pranjal Singh Rawat, Sanchita Singhal, Gunjan Agarwal, Nidhi Kumari, Parvinder Singh, Prashant Singh Gehlout (all from MCA sem 2) participated in grand finale at NDIM, New Delhi. Team 'Technocraates' prepared a solution to problem code #DCP3 i.e. problem posed by Department of Chemicals, Ministry of Chemicals and Fertilizers, Government of India, to prepare an inventory of chemicals in India. 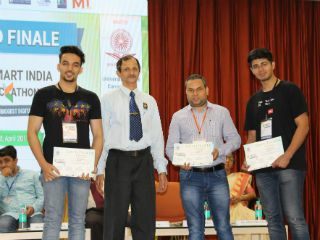 Both team mentors Mr Sanjive Saxena and Mr Ravi Dev accompanied their students to the venue, and with their motivation ‘Technocraates’ gained maximum attention and appreciation. We congratulate our students for their effort and wish them good luck for all future endeavours. We also thank faculty mentors for helping students in developing solutions to problems posed by government departments and ministries.